Airing Saturday from Noon to 3 p.m. on AM 1370, FM 107.5, WXXINews.org, WXXI app, and on your smart speaker. Dozens of states, including New York are talking about pot, and whether to and how to legalize it. More than 20 states have legalized medical marijuana, and at least 10 states are considering legalizing recreational weed. 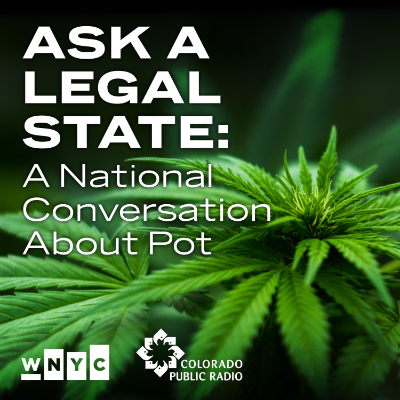 WNYC is partnering with Colorado Public Radio to offer stations around the country a LIVE 3-hour call-in conversation about cannabis and the rapidly changing legal, political, and cultural landscapes around it. WNYC’s Peabody Award-winning host Brian Lehrer and Colorado Public Radio’s Murrow Award-winning Ann Marie Awad will lead discussions about buying, selling, and using legal marijuana in America alongside expert guests and a roster of contributing reporters from participating stations around the country. The Ask A Legal State special will also consider larger perspectives around policing and social justice issues.